Our bodies, brains and psyches need recovery from any and all stresses we put on them. And why meditation has been around for thousands of years. But, increasingly, our digital culture of instant gratification, non-stop communication and information overload has made it more difficult than ever for us to even be capable of downshifting enough to enable recovery. During most of our waking hours, we’re bombarded with blue light, buzzes, and beeps, pulling us from the present moment into a virtual reality that demands our constant attention. Don’t get me wrong. I think our smart phones are amazing tools. And Instagram is my favorite SM platform for sharing, learning and getting to know more about people’s lives. However, there’s a difference between using our phones as tools and coveting them–holding them in front of our faces as our default posture. And the few times we put them down, we automatically pick them up again the second the backdrop of our real lives isn’t entertaining enough…or is so entertaining that we’re compelled to share on social media. Thoreau had no idea how right he’d be in 2019. 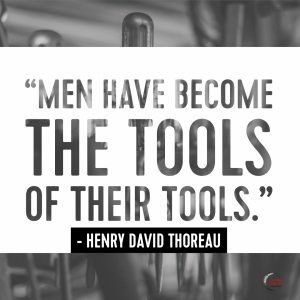 We’re all becoming the tools of our tools! 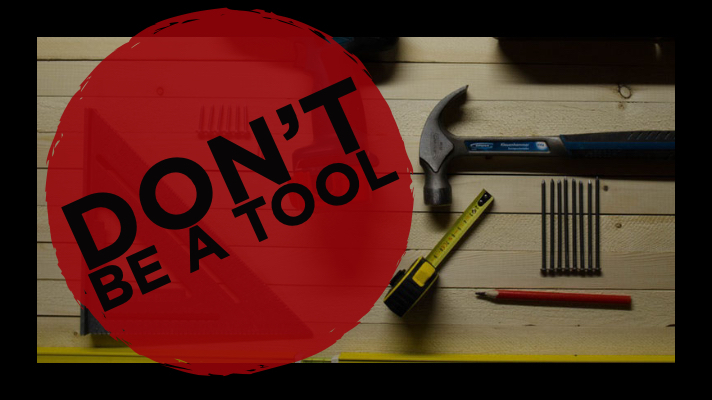 You wouldn’t pick up a hammer if you didn’t have a nail. Yet too many of us pick up our phones during the day with no intent other than to aimlessly scroll…. What if we redirected half of that aimless scrolling time to an activity that helps our mind, body and spirit recover from the stressors and screen fatigue of our digital lives? We’d stop being tools. And we’d feel better. I promise. This is especially true if you’re already feeling that your ability to recover has been compromised. Maybe you’re having trouble sleeping at night? Feeling depressed, anxious or mentally exhausted? Or you’re in the midst of trying to recover from an illness, injury and/or surgery? It’s time to balance your aimless screen time with your conscious breathing time. Breathing is our most efficient and effective ally in the recovery process. It only takes 90 seconds of deep breathing to begin decreasing your heart rate, blood pressure and stimulating aspects of your nervous, endocrine and circulatory systems that promote relaxation and restoration. As many of you know, during the last few months of 2018, I practiced a bit of a digital detox that included reprioritizing and backing off from social media. During that time, I started making myself take a 5-breath #BreathingBreak every time I was about to reach for the hammer when I didn’t have a nail (i.e. grabbing my phone without a true task to accomplish with it). 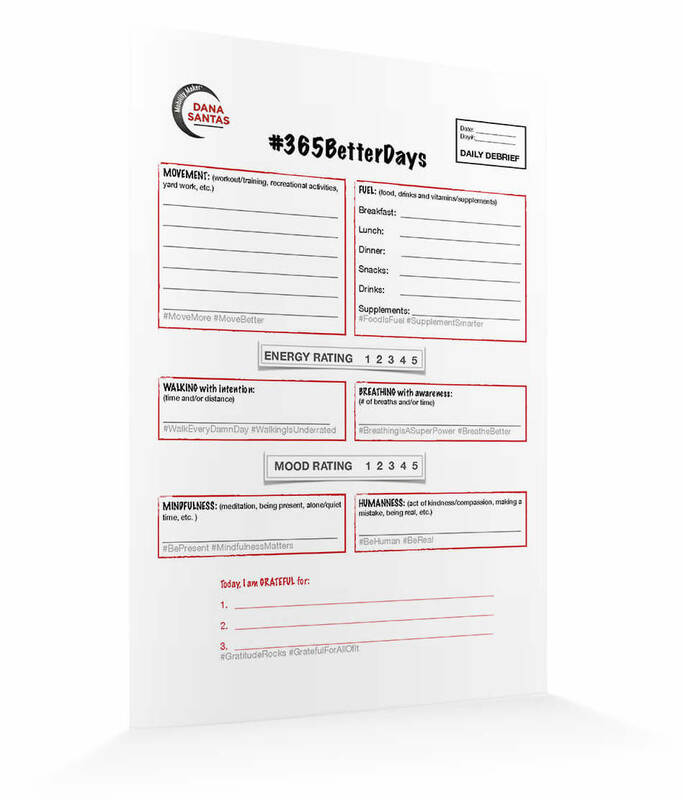 In fact, it worked so well that I was able to better recognize all the things that restored my health and well being, which is how/why I created the #365BetterDays Daily DeBrief. Get the free download, if you haven’t already. Consequently, I was also able to prioritize self care and refocus my phone and social media as tools to empower my career and life rather than letting them mindlessly deplete me of precious time and energy. So why not try this approach, too? Start using my #365BetterDays Daily Debrief and, when you go to grab your phone without a real reason, stop and take a #BreathingBreak. 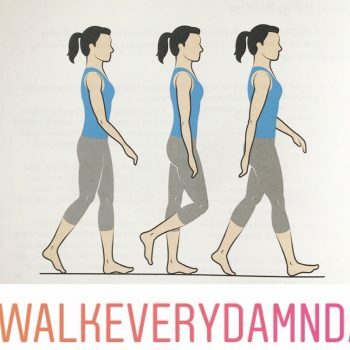 Check out this IGTV video where I walk you through the mechanics of deep breathing: focusing your attention on the lowest lobes of your lungs and the corresponding lower-rib movement. When you inhale, feel your lower ribs externally rotate, expanding outward. When you exhale completely, feel your lower ribs internally rotate, moving in and down. After taking at least five deep breaths like that, then decide whether you still want/need screen time. You can also add a Mantra. Once you’ve established your long, deep breath, you can also add the power of a recovery mantra. If you’re thinking that mantras are reserved for hippies, you’re wrong. Some of the world’s most successful leaders, like Steve Jobs, have been known to use mantras. A mantra is a single word or phrase intended to help shape our thoughts in positive ways. You can use a mantra with your breathing simply by repeating it in synch with the phases of your breath.